I am feeling super motivated right now fitness-wise. 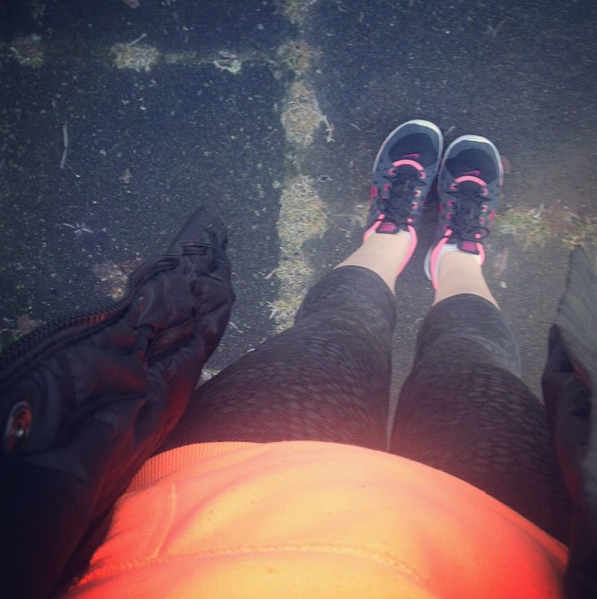 I went out for a run on Sunday in the howling wind and rain (& snow at parts!) with my two running buddies Jayne & Joanne. I hadn't been on a proper run in months and months. It was tough. But I did it, and I certainly feel better for it. Thank you Jayne for forcing me to get out there & just get on with it! I thought I would share with you some of my health and fitness goals for 2015 as part of the Florence Finds #JanuaryJoy series. You'll be so impressed with me - as I write this (on Monday night!) I'm in my gym gear and soon I'll be heading out to a try a zumba class. I've been going to a Personal Trainer once a week for an hour session. I've been struggling to motivate myself, so this was my short-term solution until I get back into it good habits myself. I absolutely love the boxing exercises that we do - it's so good to just punch away all my stresses! I've signed up for another 4 week block, and this time I mean business. My aim is to continue with the weekly PT sessions, and then in addition to this every week I'll go to at least one fitness class and do at least one run. There it is in black & white... no going back! I weighed myself this morning and I'm 12 stone 2 lbs. How on earth did this happen?? My weight has yo-yo'd over the years, and I've gone from 13 stone 10lbs down to 11 stone and then back up to nearly 12 stone, back down to 11 stone and now I'm up at over 12 stone again. So very frustrating! My goal is to hopefully lose one stone and I'd like to be comfortable in my size 10 jeans again. I'm also keen to start regularly making healthy smoothies, and the Breville BlendActive will help me with this. I just need to get a bit more organised so that I'm getting up 10 minutes earlier each morning to prepare them! 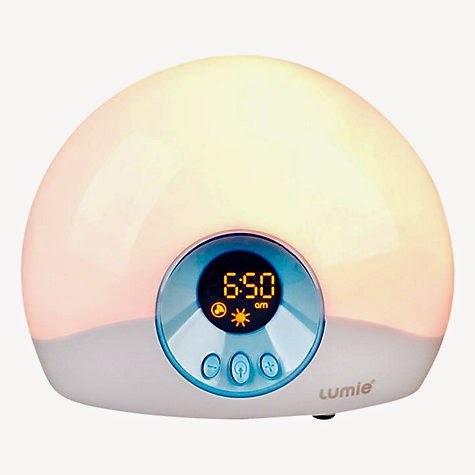 One last thing that I'd like to try, which will hopefully help me get up earlier in the mornings is a 'wake-up light' like the Lumie Bodyclock. I spotted on YouTube that ViviannaDoesMakeup has one and she swears by it. I really struggle to get out of bed on these dark mornings, so perhaps this is the solution for a more natural, less harsh awakening! I also plan to limit the amount of time I spend on my phone when I'm in bed. My sister is of the opinion that mobiles are toxic, and I do tend to agree with her. I need to get into a healthier sleep routine, which will hopefully have a very positive impact on my general mood and wellbeing. I bought the alarm clock above and have definitely found it has helped me get up on a morning - I'm still terrible at falling asleep though!